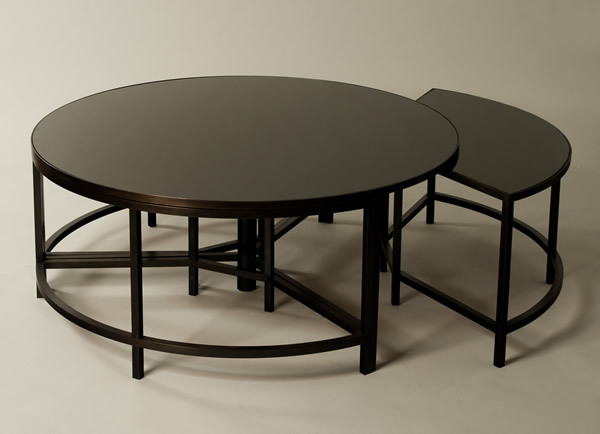 Finish A coffee table in four parts here shown in bronze with black lacobel glass. 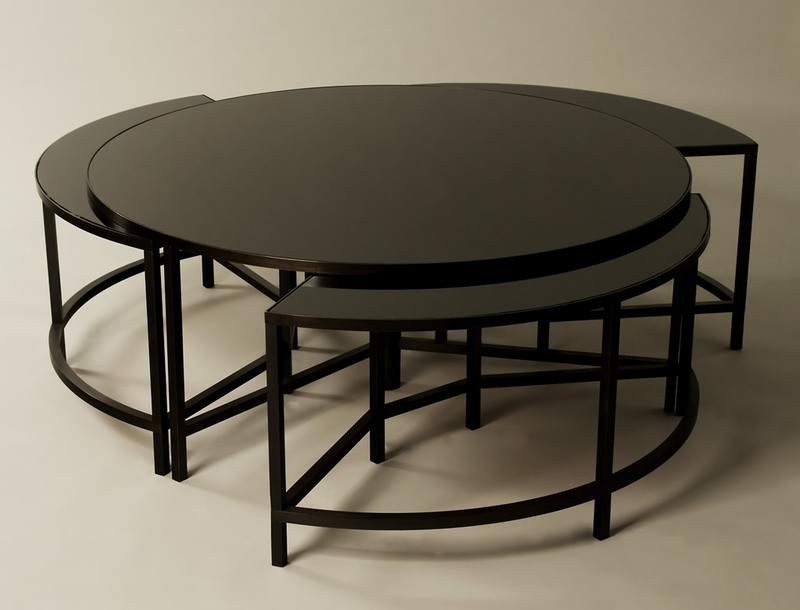 Other sizes, frame and top materials available including: Frame in polished/satin brass or steel, nickel, chrome, antiqued, powder coated etc. Top in mirror, coloured glass, stone, wood (walnut, oak, zebrano etc) and more.